Vacuum grippers are a type of lifting device used to grip and transport single or multiple objects and layers. 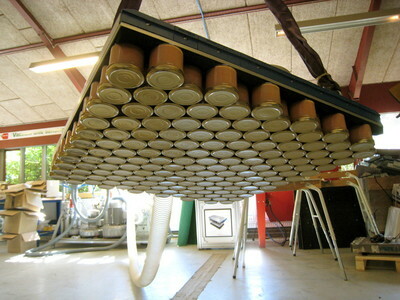 Cans, cartons, boxes, jars, pails, planks, tubs, paint and timber are commonly lifted items. 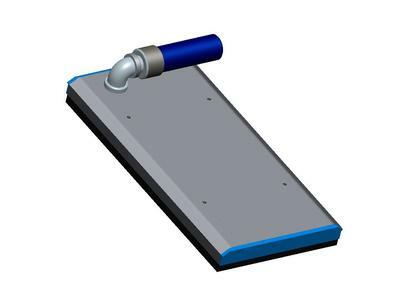 Vacuum gripper plates are used extensively for lifting layers, robotic palletizing and automation in many industries, such as food, pharmaceutical, chemical and wood. Suction is provided to the required areas by self closing valves which close when not required, thereby saving energy. 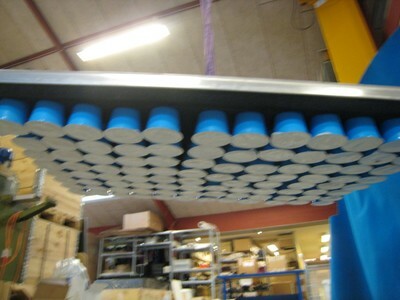 VUSS plates are the latest development in gripper technology. The revolutionary and unique 'Vacuum Unit Sensing System' provides many advantages over traditional vacuum grippers. No small bleed holes or membranes sensitive to clogging. Valves easily changed in case of contamination by product spillage. 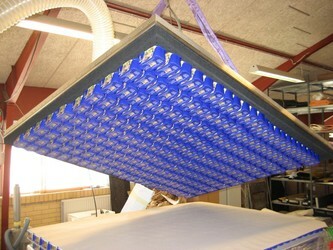 Reduction in energy requirement by up to 50% compared to traditional systems. Low service costs and reduced downtime achieved by our unique, user friendly valve replacement system. 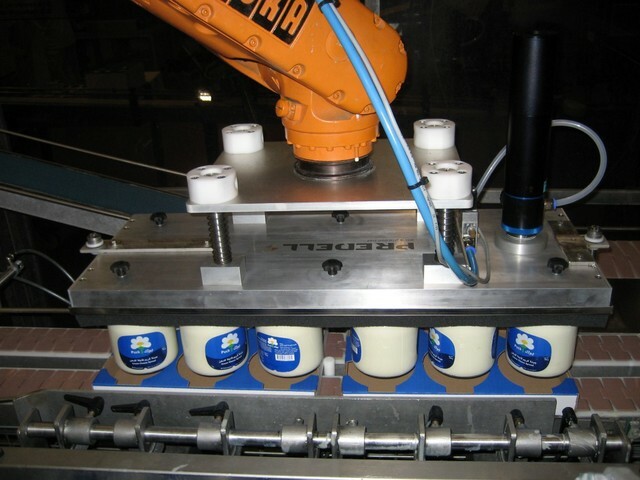 Scalability, as your product and production line changes. No requirement to keep backup gripper heads or return to factory for refurbishment. Reduced wear and tear on robotic systems from lower gripper weight. Get your free onsite demonstration!